What's Happening in 7th Grade Social Studies? What’s happening in 7th Grade Social Studies? Since the last installment of our class news, your student has been immersed in early American politics and the foundation of our government. 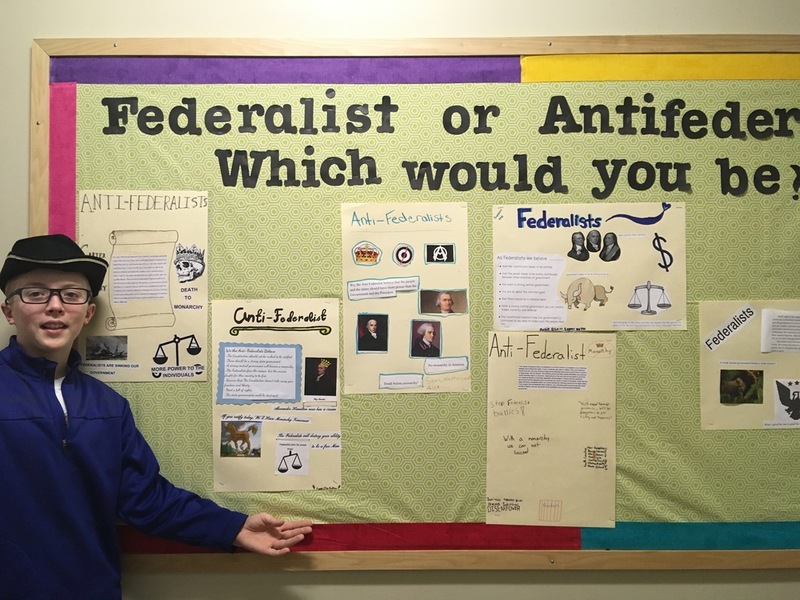 They actively participated in a class activity where they assumed the roles of either Federalists or Antifederalists. Our students now understand how the arguments of our Founding Fathers threatened to derail the ratification of the Constitution. Most recently, your middle schooler was actively engaged in a computer simulation in which they had to step into George Washington’s boots and “Be Washington”. This simulation allows them to choose advice from nineteenth century figures that actually counseled President Washington on serious matters of state. Your child watched and listened to the people they chose to seek counsel from, (“re-enactors”), and then had to decide how to proceed with their decision. While the simulation was an overwhelming hit with the kids, it was unanimously decided that none of them truly would have wanted to step into Washington’s boots and to make such paramount decisions. What’s next? A test on this material will be on November 1st, so students should plan to study a portion of the material each day prior to this.